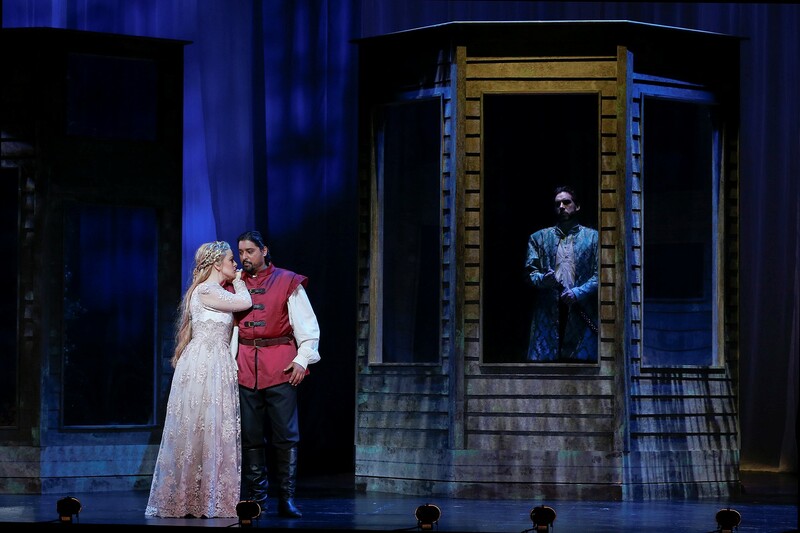 Seen all too rarely in Melbourne, Pelléas and Mélisande may not be entirely familiar on stage, but its hypnotic effect quickly had the opening night audience utterly enthralled. Something of a psychological thriller, the opera has a spellbinding slowness and stillness that has been expertly staged by director Elizabeth Hill. 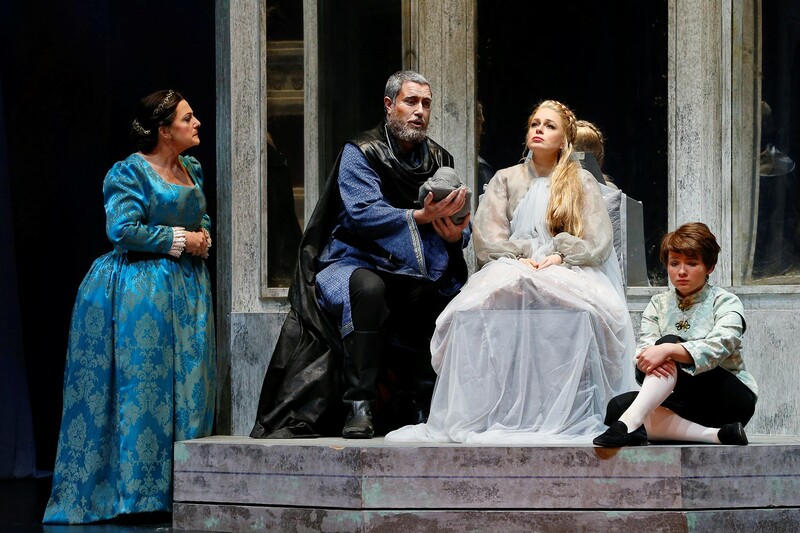 The opera’s lead characters are few and the linear narrative is relatively straight forward to follow, and yet some background reading on the plot pays dividends in terms of full appreciation of the symbolism and subtext. 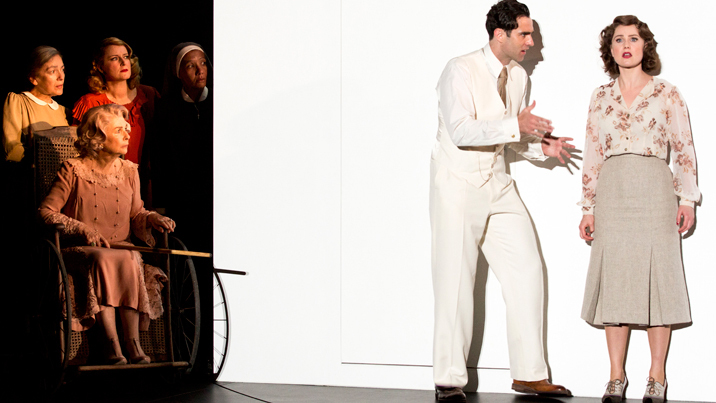 In the mythical kingdom of Allemonde, Prince Golaud meets and marries mysterious maiden Mélisande. Bringing her home to meet his grandfather, the ailing King Arkel, Golaud soon finds his new bride developing feelings for his brother, Pelléas. With a tone that can only imply terrible tragedy, the opera unfolds subtly and tenderly as it moves gradually toward its moving finale. In an inspired production decision, Victorian Opera’s artistic director Richard Mills has invited Australian National Academy of Music to collaborate on Pelléas and Mélisande by providing the orchestra. With harps and timpani spilling out of the Palais Theatre’s large orchestra pit, a sea of young musicians give a sterling performance of Debussy’s uniquely atmospheric music. The score calls for gentle playing at soft volumes from the musicians, and Mills’ conducting has this aspect at a premium. The cohesive nature of the orchestra is all the more impressive given that the program lists players from many Australian states as well as guests and alumni. 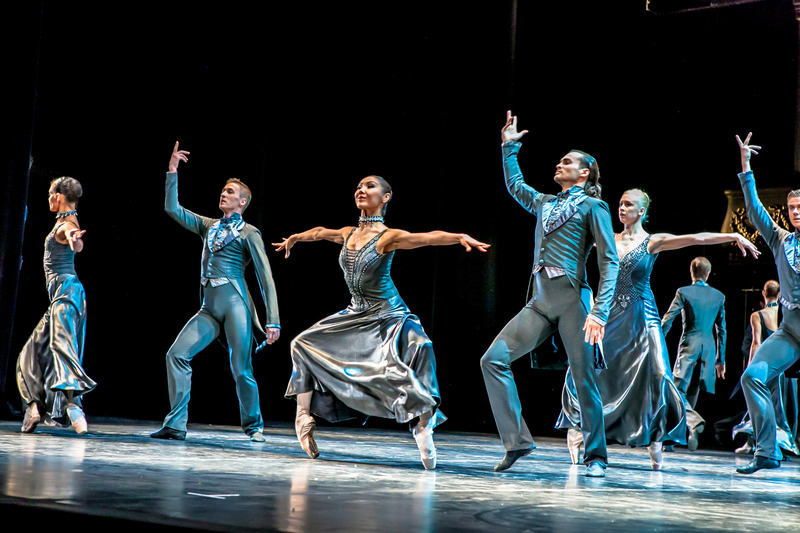 With five acts, incorporating total of 15 scenes, the opera has a great many intermezzo pieces, each more sumptuous than the last, and these are played with shimmering beauty. 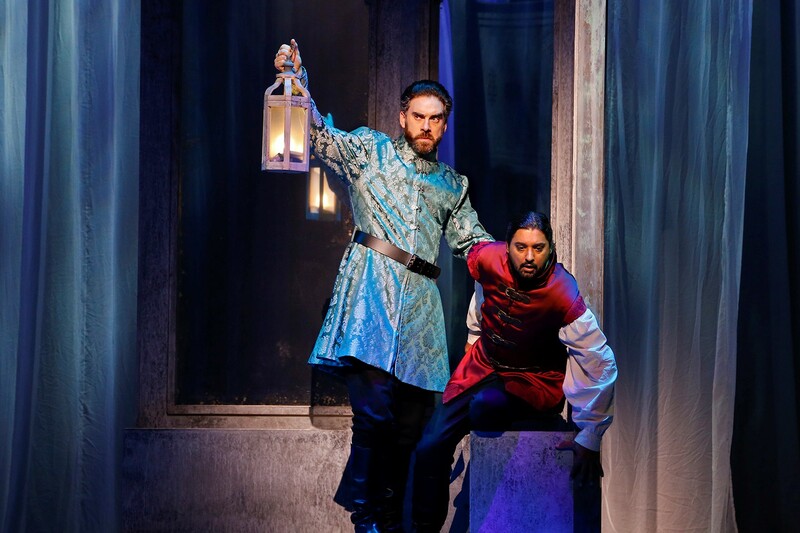 Designer Candice MacAllister makes a highly auspicious mainstage debut with Pelléas and Mélisande, collaborating closely with director Hill and lighting designer Joseph Mercurio to deftly balance naturalism and symbolism. MacAllister furnishes the stage with three beautifully antiqued units, which rotate to serve as interior and exterior settings. The windows create multiple reflections, connecting to the opera’s theme of water. The sets are backed by towering sheer gossamer curtains, which ultimately come to symbolize life itself. Mercurio lights the curtains to paint striking stage pictures that include forests and caves, bedrooms and parlours. An abundance of haze picks up streams of lights and vibrant colours. Entrances and exits of the characters cast giant shadows, and footlights give a uniform glow to the singers. Making wonderful use of brocade and lace, MacAllister has crafted costumes that are gorgeous while still being understated. Despite the passing of time, characters remain in their signature outfits, aiding audience identification in the cavernous auditorium. Mélisande changes costume after interval, emerging in a stunning paler than pale pink fitted gown with delicate lace overlay. Hill has framed the action with three winsome young women who serve as stage mechanicals as well as representing spirits and people encountered by Mélisande. Erinn Arnel, Chloé Henderson and Maria Peker rotate the sets with apparent ease, moving about the stage with elegant grace. On Mélisande’s deathbed, the three women are referred to as servants and yet look and feel remarkably like deathly Wilis. Debussy expends no time at all on chorus, and his total focus on lead singers is rewarded here with a carefully selected, uniformly talented cast of Australian singers. While the score does not provide the sort of crowd-pleasing vocal fireworks that generate instant acclaim, the emotional and lyrical beauty of the music require a depth of talent which is very well catered for in this production. 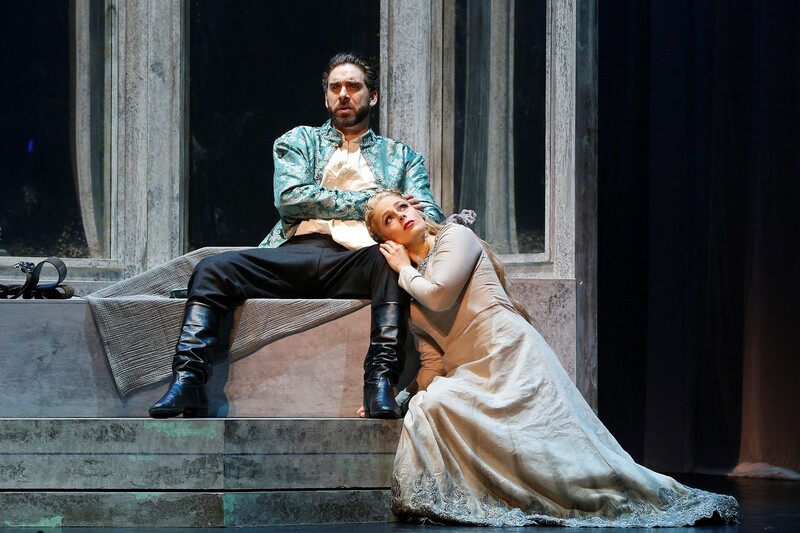 Enjoying successful overseas careers, Angus Wood and Siobhan Stagg make a welcome return visit to star in the title roles of Pelléas and Mélisande. Wood supports the sumptuously rich warmth of his luscious vocal tone with a romantically intense presence to create a memorable performance. Another notable aspect of Wood’s singing is the immaculate polish of his French diction. In Pelléas’ climactic profession of love for his sister-in-law Mélisande, Wood is at his very best, having reserved power and presence to unleash the full effect of this scene. Stagg adds to the mystery of Mélisande by gently underplaying the role, highlighting the young woman’s proclivity for being coyly obtuse when questioned. In a sterling performance, Stagg sings with a delectably golden tone, producing vocals of unwavering purity. With Mélisande’s long blonde tresses piled high upon her head, Stagg maintains a serene presence, culminating in a moving deathbed scene. 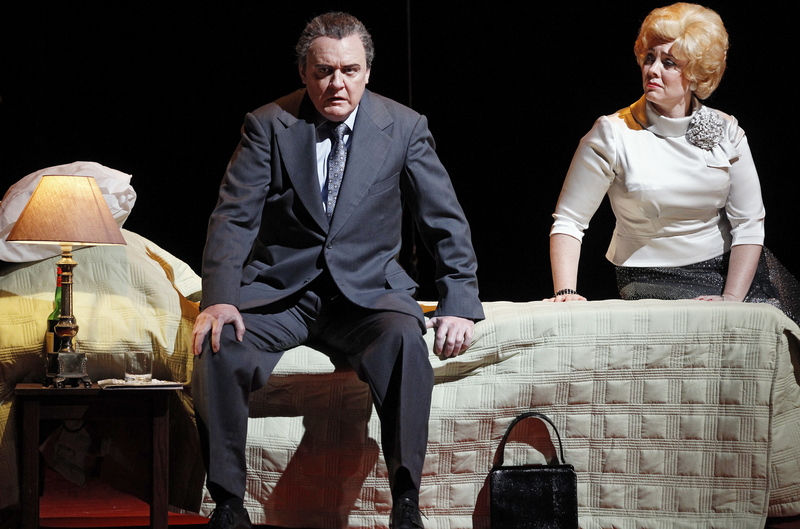 Baritone Samuel Dundas shows increased maturity as the darkly troubled Golaud. Beginning with all his expression in the warmly burnished timbre of his voice, Dundas goes on to unveil Golaud’s inner emotion in acts four and five, bubbling over with maniacally gleeful laughter as Golaud breaks down at confirmation of his wife’s infidelity and then collapsing on the floor in palpable grief at her death. Giving a highly realistic portrayal of a near-blind man, David Parkin underpins King Arkel’s intrinsic power with fragile vulnerability. Unable to make eye contact with the household, Parkin shows that all of Arkel’s authority is now in his voice, singing the role with near-Wagnerian power to commanding effect. In the thankless role of Geneviève, mother of Pelléas and Golaud, highly experienced contralto Liane Keegan brings an air of quality to the opera’s early scenes. Keegan’s supple range and intensely focused delivery leave the audience wanting more. Sophia Wasley makes a strong impression as Golaud’s dear young son Yniold, projecting genuine innocence and singing with sweet tenderness. Alongside such accomplished colleagues, Stephen Marsh more than holds his own in the cameo role of the Physician. No self-respecting opera lover in Melbourne can miss Pelléas and Mélisande. 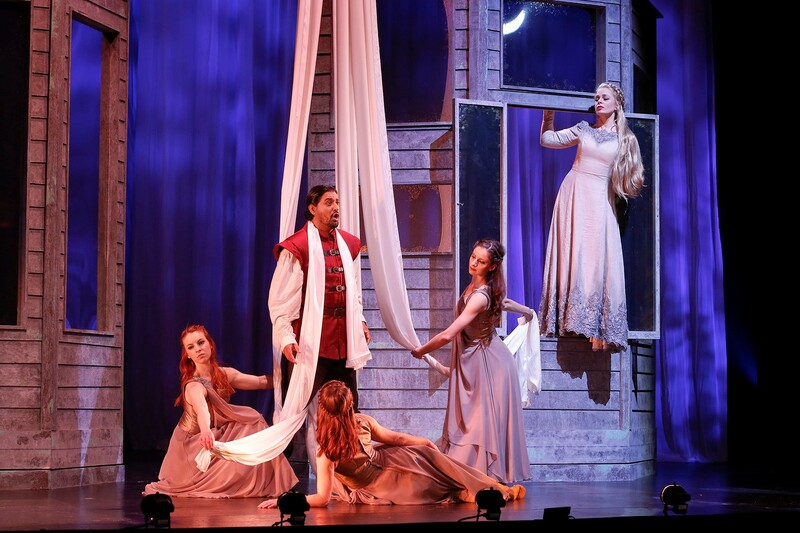 Pelléas and Mélisande plays again at Palais Theatre, Melbourne on 13 October 2018. The Pelléas and Mélisande program can be read online.